Thor Month is over, and I ended it with Stan Lee and Jack Kirby's run on the character. 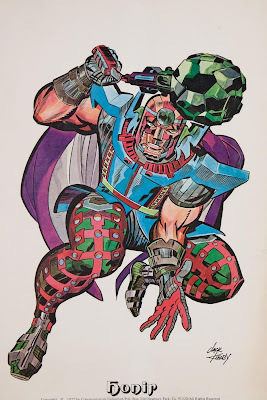 I've got a column on the New Gods ready to go for next week, and I figured I'd connect it with some sort of transition piece. 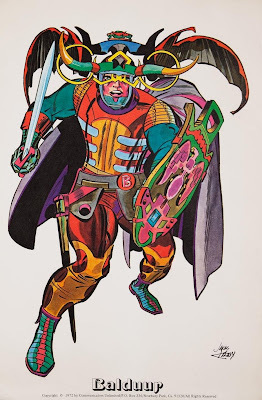 I took a look at Jack Kirby's overall body of work, and know what I realized? 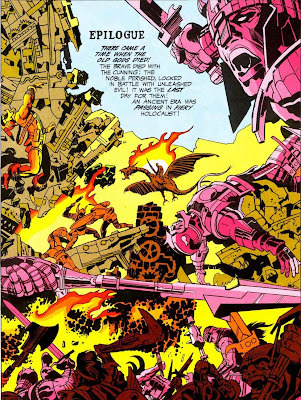 Okay, so I'm sure that someone somewhere's gonna look at that title and think I mean that in a metaphorical way, like "All of Kirby's work had a mythical scope, and that's why things seem more mundane without him," but no. 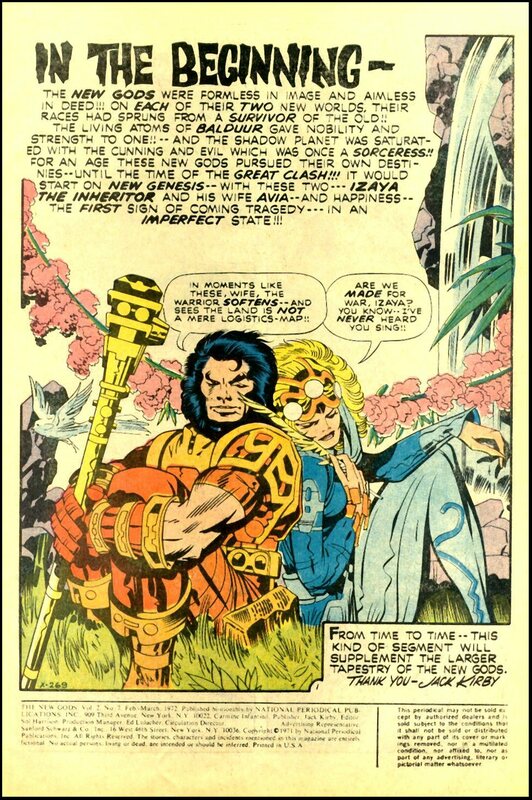 I just mean it in the most literal way I can mean it (which I guess is still metaphorical, in a different way), which is that Jack Kirby just kept on going back to the gods, to the themes, the visuals, and, in a few cases, the same story. Okay, so we all know that Jack is the visual creator of Marvel's Thor, which had such a grand scope and featured a whole lot of Asgardians and other mythical monsters and characters, including Thor's best friend Balder the Brave. Turns out this version of Thor was the third Thor that Jack had a hand in. The second one he did, in 1958, even used a similar version of Thor's hammer Mjolnir. 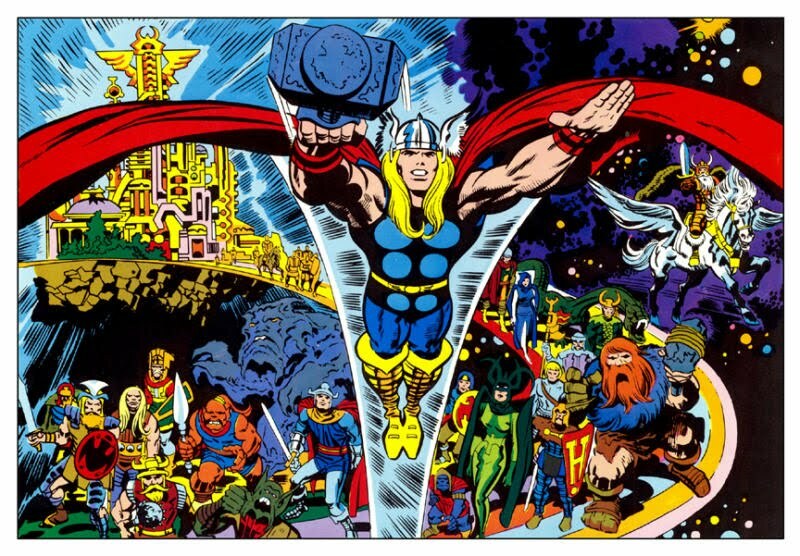 Jack stayed on Thor until 1970, at which point he went to DC and launched The Fourth World, comprising four interlocking titles with a common storyline. 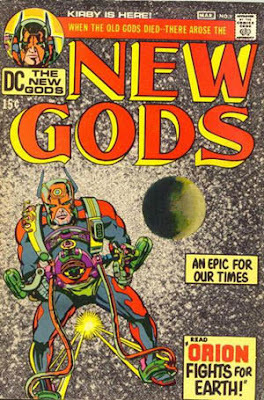 In the first issue of New Gods, it specifies that there came a time when the Old Gods died. 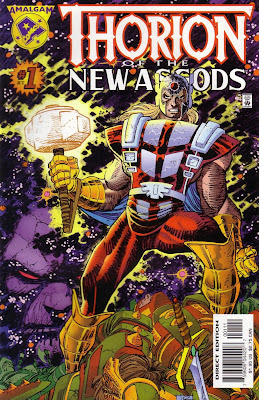 Considering that Jack had just come off of Thor, it's hard not to see this as Ragnarok, the twilight of the Norse gods. I love how it says "Epilogue" when it's the start of the story. That's a nice touch. The main protagonist (as close to a main protagonist as you can have in this saga) was Orion, the son of Darkseid who was given to Highfather as part of a peace treaty. Orion has great strength and endurance, and carries with him an astroharness to let him fly. The Fourth World Saga attempted to mesh the mythological scope and storytelling methods with a more sci-fi approach, incorporating machines and mechanisms as much as possible. Then it got cancelled. 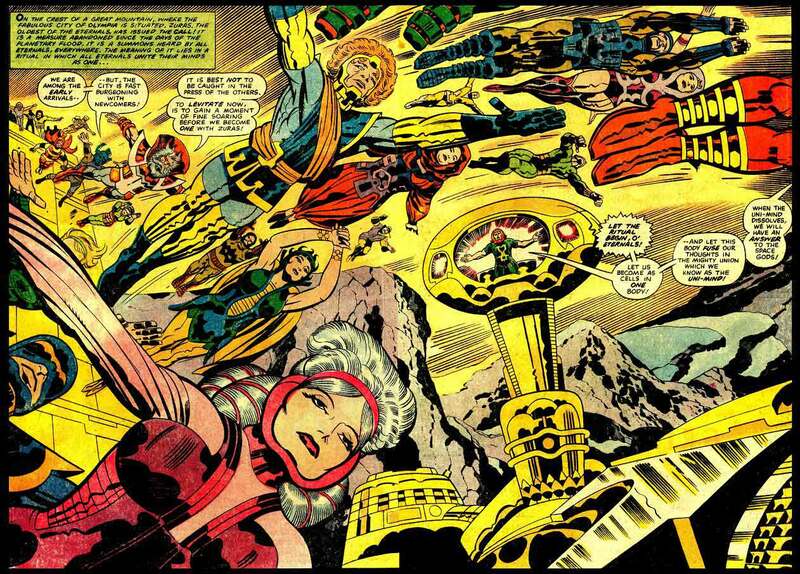 Kirby went back to Marvel, and in 1976, he launched The Eternals, which took on much of the same themes as the Fourth World. And in 1981, when Kirby returned to comics (this time creator-owned) after a brief foray in animation, he launched Captain Victory and the Galactic Rangers. 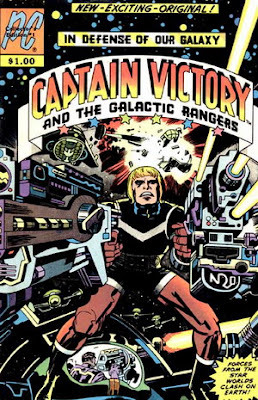 Captain Victory wasn't based in myths, but he was taking off from something else — Captain Victory was the grandson of a villain named Blackmass, who, readers figured out later, was supposed to be Darkseid. 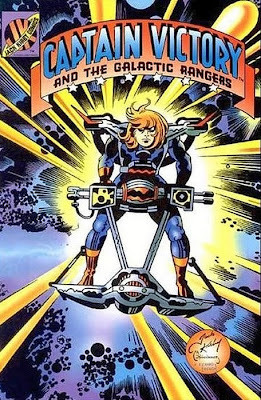 And if there were any doubts about this, Jack worked in a sequence where Captain Victory escapes on his father's device — and it's clearly Orion's astroharness! 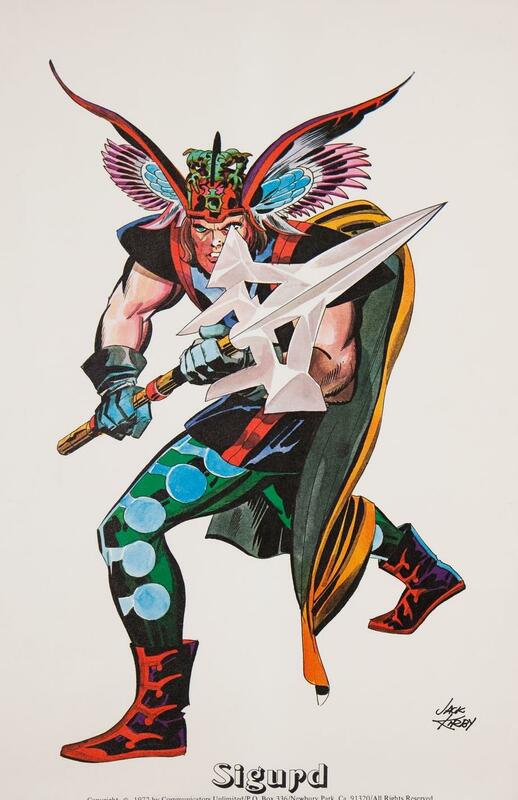 On top of all that, there's this "Gods Portfolio" that Kirby did in 1972 (while he was still doing New Gods), which features a new take on the Asgardian gods. This wasn't meant (as far as I know) to go any further than this, but Sigurd was given his own series by Dynamite last year, entitled "Dragonsbane." 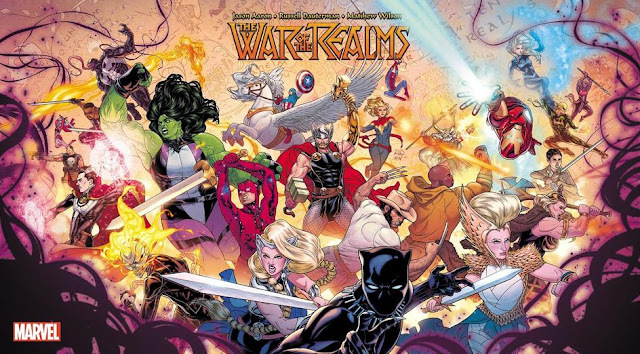 It's interesting that Jack had another way to visualize that particular pantheon (although one could easily claim that it's too similar to what he already did to Marvel to really be different). So there. For a significant portion of his career, Kirby carried around these particular themes and character archetypes, and if you were so inclined, you could read them as technically one long story, from Thor to the New Gods titles to Captain Victory, and... I haven't worked out how Eternals fits into that, but surely there's a way to do it somehow. 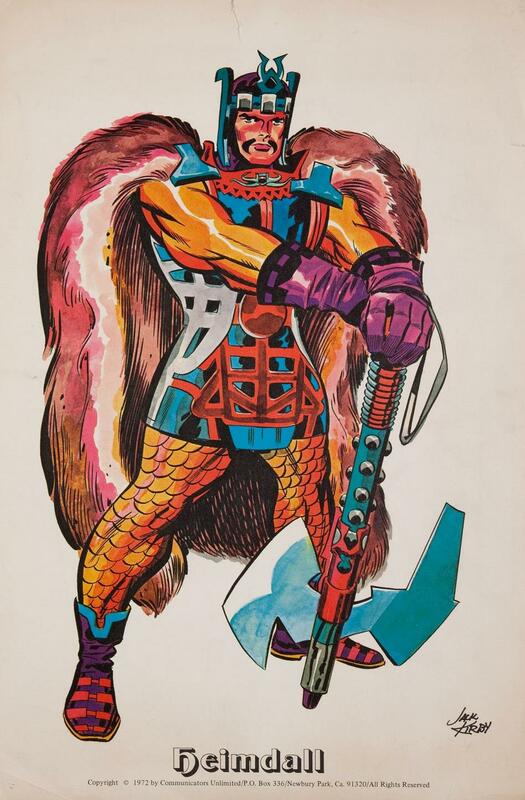 Jack Kirby took the gods with him everywhere he went. I'm sure that's fitting, somehow. 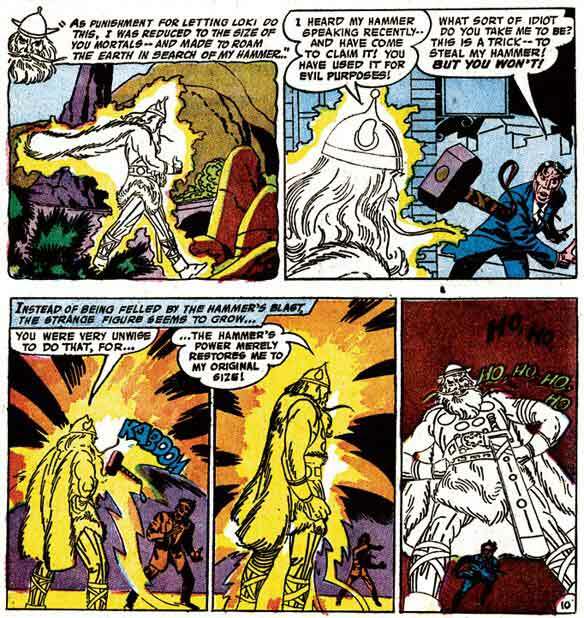 It's, in any case, more poetic and symbolic than "Steve Englehart took Mantis with him everywhere," anyway. Addendum: Brian Cronin came out with this pretty much the same day I did. More Fourth World/Asgard connections! Great stuff! Thanks for sharing this over at the Classic Comics Forum! We'd love to see more of your work there and look forward to having you as an active participant in the community.